There are some unique problems associated with feng shui office cubicle design. The most obvious is the overall lack of space and privacy. Whenever attempting to follow feng shui principles in a cubicle office design, one area that generally presents a problem is desk placement. A few feng shui tips for office cubicles can help you achieve career success. Some of the problems created by close quarters can be remedied with feng shui cures. Cubicles often suffer from poison arrows since much of the décor is created by permanently installed desk, wall and storage units instead of free-standing furniture. You can counter poison arrows with plants and multi-faceted crystal balls. You can place a small and very subtle crystal ball on a poison arrow created by a corner so it isn't noticeable. Cubicles usually have a partial open wall. This provides a great opportunity to invite chi energy, especially yang energy into your space. While you want your office conducive to work with a calming atmosphere, you also need yang energy to stimulate and create excite. This can be in the form of plants, water or air movement, such as a small oscillating fan. Most cubicles have high ceilings with industrial lights and under-counter lighting for tasks and that's it. You can energize your space with more lighting options, such as a table lamp, a small task lamp and even a floor lamp in the southeast corner. 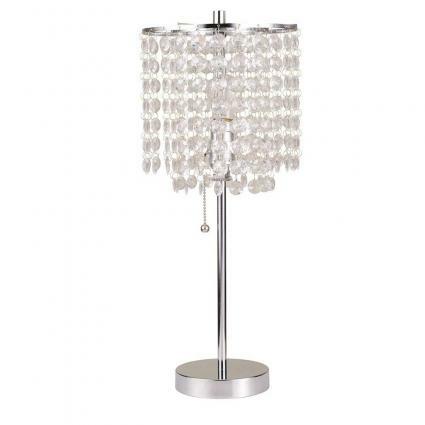 If appropriate, choose a small crystal glam table lamp to generate more yang energy with light reflection. The cubicle design forces you to share walls with coworkers. The average cubicle shares three walls. This can create inauspicious energy when a co-worker's cubicle is cluttered and disorganized. If your work is suffering and you've done everything possible to optimize feng shui remedies, you may need to take a more drastic solution. This technique is often used to reflect and contain negative energy. You can prevent your co-worker's inauspicious energy from spilling over into your cubicle by place a mirror face down against the shared wall. You can repeat this for any other co-worker with inauspicious cubicle to prevent it from interfering with your workspace. Working in cubicles can often feel as though you're lost in a sea of workers. Aside from good work, you can use feng shui to help you stand out from the crowd. In fact, your cubicle can be an ideal place for boosting your fame and recognition. If you have a diploma, certifications, and awards, find a creative and uncluttered way to display them. Chances are your cubicle is too small for what would be good sizes for an inner office. The easy solution is to take a photo of you sitting in front of your diploma and other credentials (perhaps in a home office). Place in a very nice frame and hang the photo on your south wall. If you have any trophy awards, you can display these in this sector. Red birds are symbols of career success. Place a photo or ceramic cardinal in this sector. 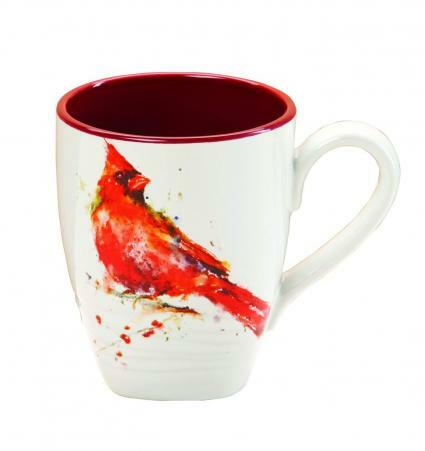 If your desk is in this sector, then opt for a cardinal decorated coffee cup. Every square inch of a cubicle is prime real estate, but you want to take advantage of the southeast sector to activate your wealth luck. This sector is ruled by the wood element, so add one or more live plants here. If your company doesn't allow plants, then add wood objects, such as a wood chair, table or art objects. Photos that depict happiness and wealth can be placed in wood frames. Use wood colors green and brown in this sector. If you're allowed to have a small tabletop water fountain, opt for one in this sector. Be sure the water flows toward you whenever sitting at your cubicle desk. While you can't play your music in an office, you can bring sound into your space that can clear some of the chaotic energy swirling all around you all day with phones ringing and different conversations floating all around you. 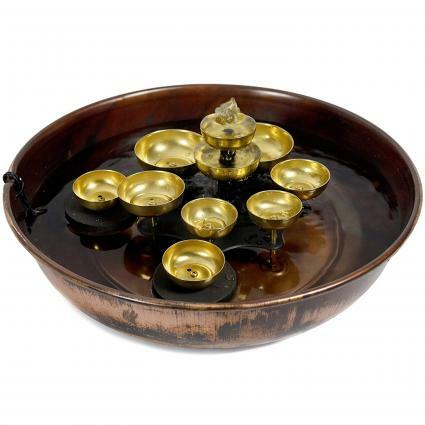 A water fountain with chimes is a subtle and soft way to disperse this kind of negative energy. The white noise of a small fan can also mask some sounds being generated from the other cubicles. Working in close quarters with partial walls means everyone knows everything that transpires in your cubicle. It's impossible for conversations not to be overheard or misheard. Gossip is often a big problem for anyone working in a cubicle. You can defuse office gossip and professional jealousy by displaying a crystal on your desk where it can be seen by anyone entering your cubicle. An amethyst cluster is a good choice. The ideal desk placement for any workspace is the command position. This placement means the person sitting behind the desk is in command of the room and subsequently any situations or issues that arise during work. There are a couple of ideal desk placements for a command position. The first is directly across from the entrance to the work area. All opportunities, whether auspicious or inauspicious, march straight in to your desk. The next ideal placement is catty-cornered from the main entrance. Both of these positions give you line-of-sight to the door and place the desk between you and whoever is entering your office. The cubicle creates a unique problem with desk placement because most modern cubicles come with attached overhead cabinets, a work surface that includes a desk cutout section as well as under counter filing cabinets, drawers, and enclosed shelving units. Because of the design of cubicles, you rarely have any choice as to where you place your desk. The configurations of the sections usually come predetermined and sized. There is a solution for a cubicle with prefixed desk placement. In the majority of most cubicle desk and cabinet configurations, it forces you to sit with your back to the door. This means that you are in the worst possible desk placement and are unable to see anyone who enters your work area if you're at your desk. In addition, any sensitive information you may be working on is just as vulnerable as you are. In feng shui, sitting with your back to the door means you'll often be blind-sighted, or even become the victim of malicious backstabbing or office politics and gossip. There will be things that go on in your department and the overall company that you'll either never know about or will learn about too late to take advantage of. Feelings of isolation, as well as alienation, have been documented in such seating placements. The easiest solution to this problem is to place a small mirror on your desk or above your workspace angled so you can see directly behind you at all times. This has been one of the best solutions to a situation that you cannot remedy by moving your desk. If your cubicle is big enough, you may want to place a partial screening or create a kind of barrier that denies those entering your workspace immediate access to you and your computer. Most cubicles are too small to accommodate the individual, much less a screen. Oftentimes, people in the same department performing the same job or related jobs share larger cubicles. This set up generally has a large shared work area between the two workstations. This counter space creates a divider of sorts but serves to drive guests right into the back area of your workspace. Once more, the mirror cure is a great way to prevent unexpected complications or problems. There are a few things you can do to help define the entrance into your space and create a feeling of an enclosed office. If possible, place a floor lamp on either side of the entrance into your cubicle. If this isn't possible, consider adding a small pedestal table with a table lamp. Place a plant on either side of the entrance to your cubicle. Place a small pair (male and female) foo dogs at the entrance of your cubicle. You can add these in a manner that makes them unobtrusive but will still provide protection against theft or malice. Keep your cubicle clean and clutter free. A cluttered workspace traps chi energy and prevents the natural flow of positive energy coming into your cubicle. Stagnant chi is unhealthy to you physically and to your job situation. If you organize your cubicle and keep it clutter-free, you'll be able to work more efficiently and be able to take full advantage of all the chi energy moving in and out of your cubicle. If you make your living by using the phone at work such as sales, customer service representative, collections or simply deal with the general public, there are a few feng shui enhancements you can use. Place three coins tied with a red ribbon or a red envelope with a coin underneath on or near your phone to draw prosperity to your daily work. Adding a water feature to a cubicle is tricky because you must know the overall feng shui issues of the entire building as well as your particular area of the building. It's best to resort to some other form of water activator if this is something you deem is necessary for your workspace. Opt for a photo of a sailboat sailing toward you, never away from you. A meandering stream that is flowing towards you or into your workspace is another option. Regardless which school of feng shui you practice, if you follow these tips on designing your cubicle, you should discover that your work environment is just as productive and enjoyable as it would be in an enclosed office.